Sgt. 1st Class Martin R. Apolinar died May 29 when the vehicle he was traveling in, while on a mounted patrol, struck an improvised explosive device in the Wardak Province, Afghanistan. He was born Dec. 31, 1982 and grew up in Phoenix. He graduated from the Trevor Browne High School in 2001. Apolinar enlisted in the U.S. Army in 2004 and served as an infantryman with B Company, 1st Battalion, 41st Infantry Regiment, 1st Armored Division at Fort Riley, Kan. He served as a rifleman, machine gunner and team leader. He successfully completed the Special Forces Assessment and Selections course and entered the Special Forces Qualification Course at Fort Bragg, N.C. 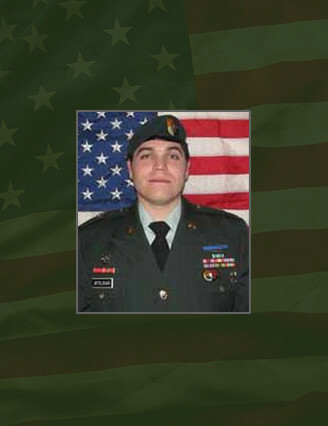 Upon completion of the SFQC, he was assigned to C Co., 3rd Bn., 3rd Special Forces Group (Airborne) in 2008 where he served as the senior Special Forces weapons sergeant for an Operational Detachment – Alpha. Apolinar deployed twice, first in support of Operation Iraqi Freedom, Iraq, and recently with C Co., 3rd Bn., 3rd SFG(A) to Afghanistan (Operation Enduring Freedom). His military education includes: Warrior Leader’s Course, U.S. Army Combatives Course Level 1 and 2, Combat Life Savers Course, Special Forces Qualification Course, Special Forces Advanced Reconnaissance Target Analysis and Exploitation Techniques Course, Joint Fires Observer Course, Survival Evasion Resistance and Escape Course, and Advance Leader’s Course. Apolinar’s military awards and decorations include the Bronze Star Medal, Purple Heart, Army Commendation Medal, Army Achievement Medal, Army Good Conduct Medal, National Defense Service Medal, Afghanistan Campaign Medal, two Iraq Campaign Medals, Global War on Terrorism Expeditionary Medal, Global War on Terrorism Service Medal, Overseas Service Medal, Army Service Ribbon; NATO Medal, Combat Infantryman Badge and Parachutists Badge. He earned the Special Forces Tab and Ranger Tab. Apolinar is survived by his wife Elisa; his son Martin, and his parents Gene and Susan Apolinar of Prescott, Ariz.